Diamonds are synonymous with grandeur and luxury. They define power and confidence. Women usually love to flaunt diamonds on every occasion. Be it the diamond rings, necklace or studs, diamonds look beautiful and add to the charm. 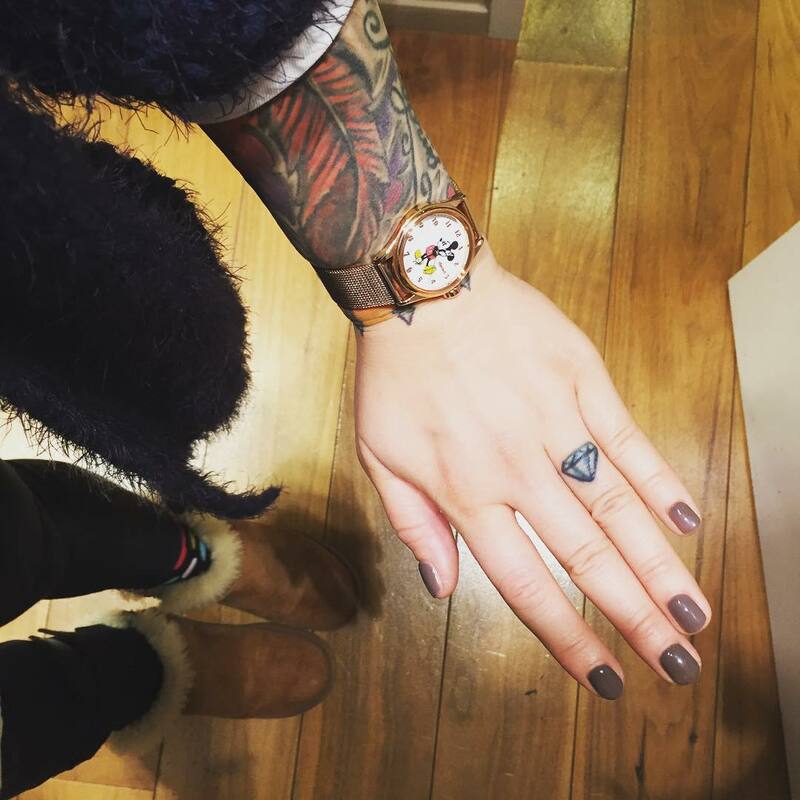 There is currently a tattoo trend catching up among people all over the world. 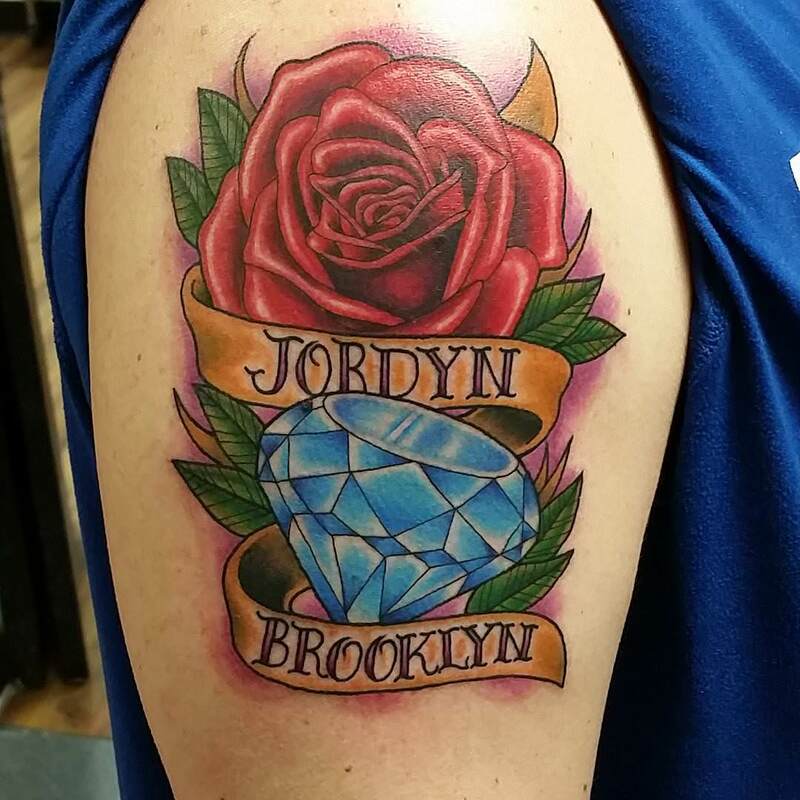 Folks usually like to get various designs inked on their bodies. These designs mostly reflect their taste and personality. 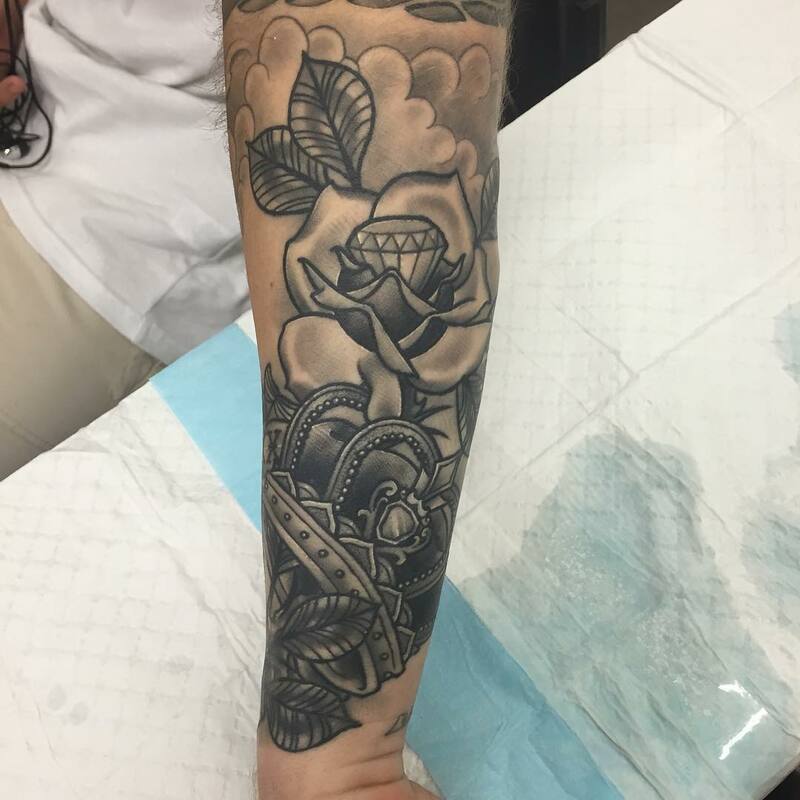 The choices vary from small and pretty, to bold and elaborately meaningful designs. 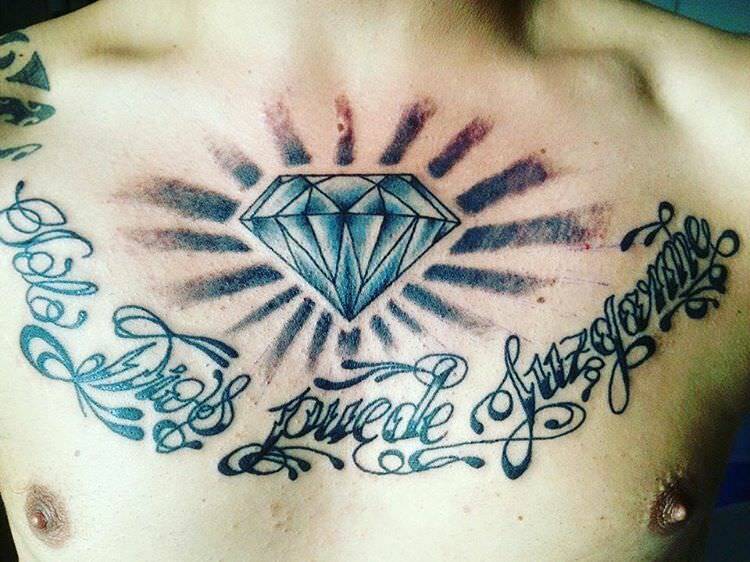 Some people also go for alphabets, names and images of God while getting inked. 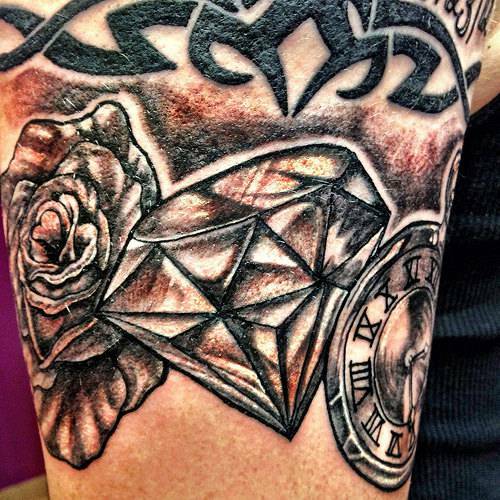 Diamond tattoo designs are lately causing a frenzy among tattoo lovers, because of their surreal appeal. These are very small tattoo designs inked mostly on fingers. They look elegant and classy and can be inked on one or more fingers on the side. 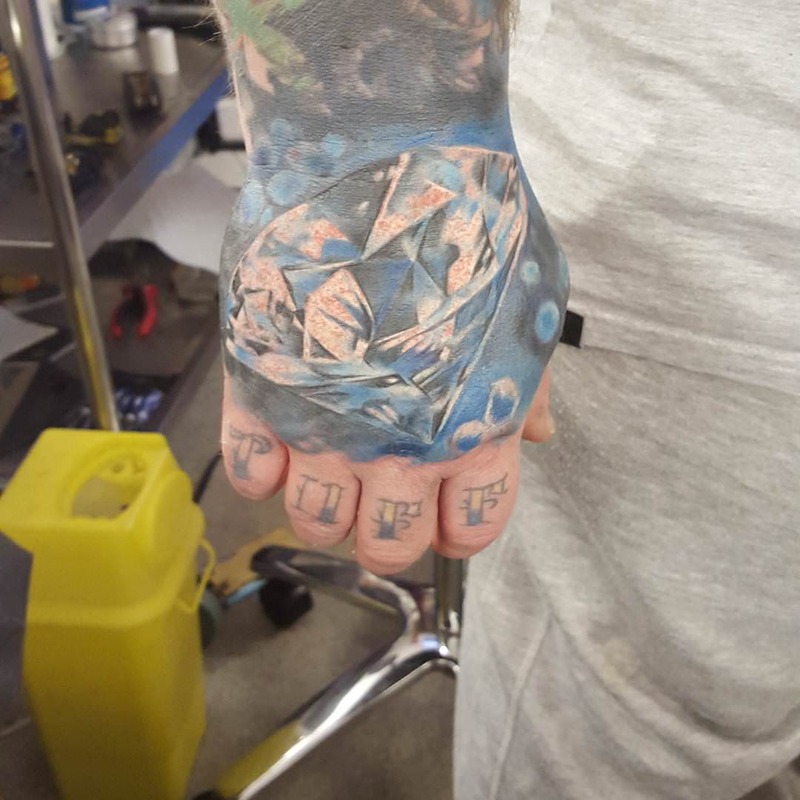 This tattoo can be an easy substitute for a real diamond. These small designs look pretty and attract attention. 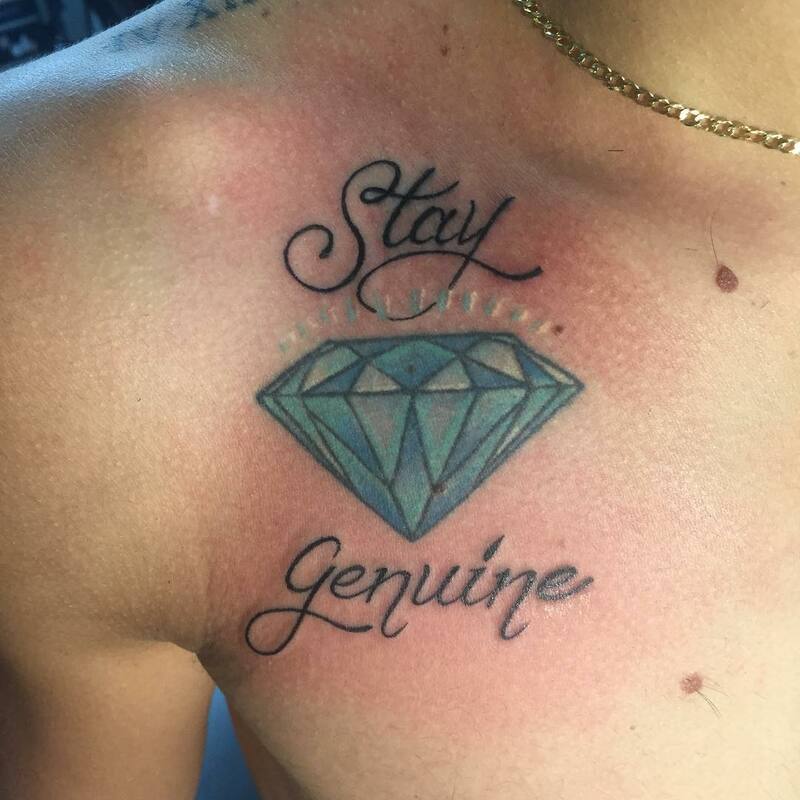 Mostly plain design, it comes with the outline of a diamond. This design is mostly inked on wrist or nape and signifies power and riches. Though diamonds are colorless, these designs have a wide array of colors. 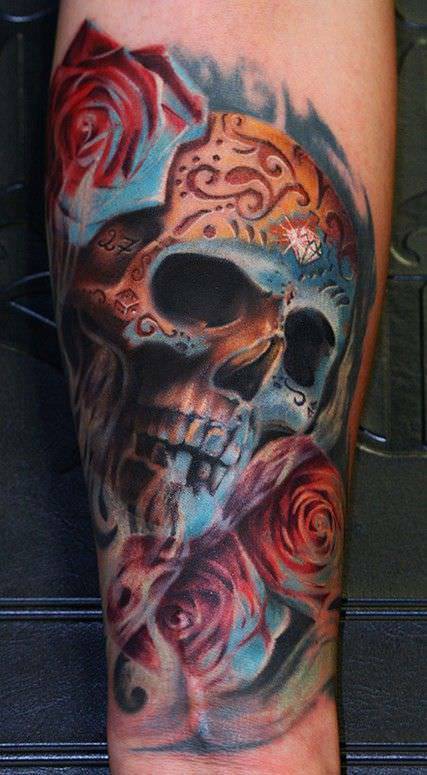 The colors might reflect the personality of a person who is getting inked. 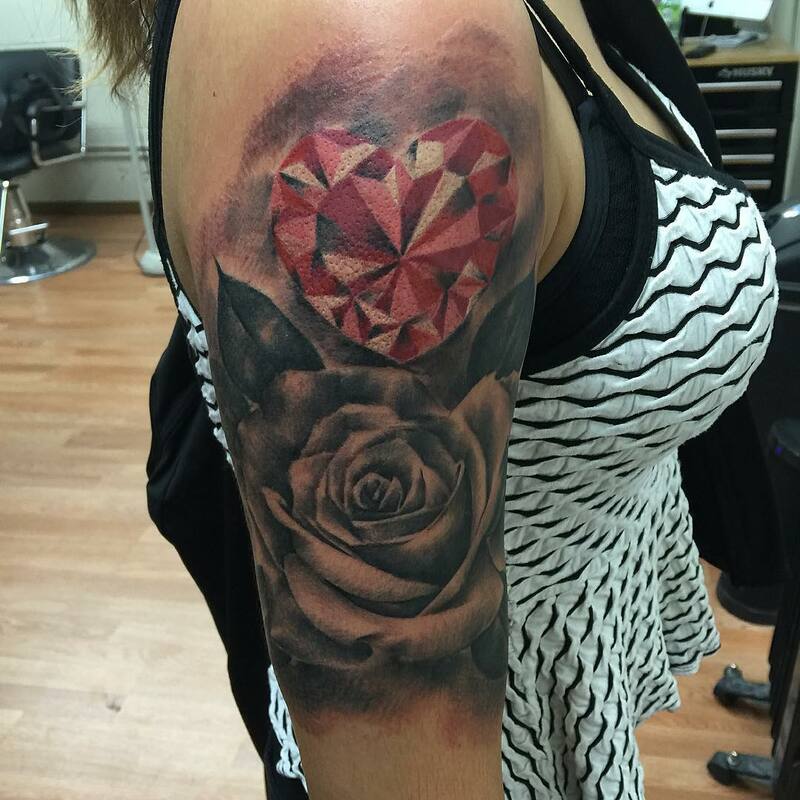 A red diamond tattoo reflects love, passion, and wealth. 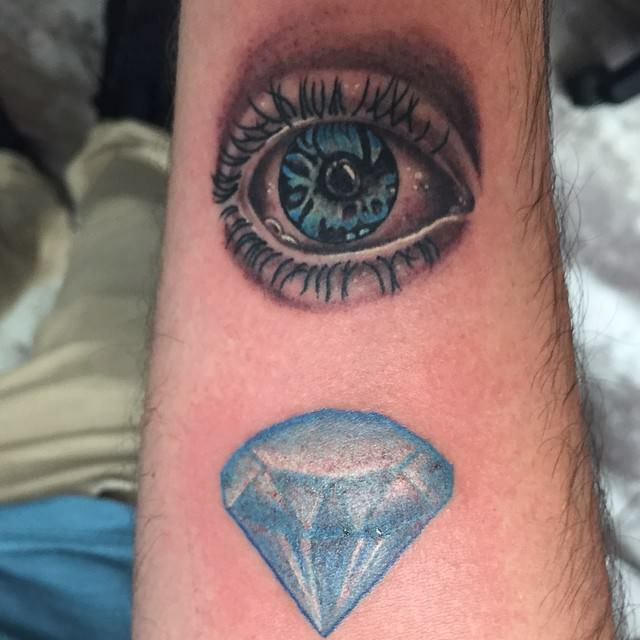 A blue diamond suggests peace and calmness. 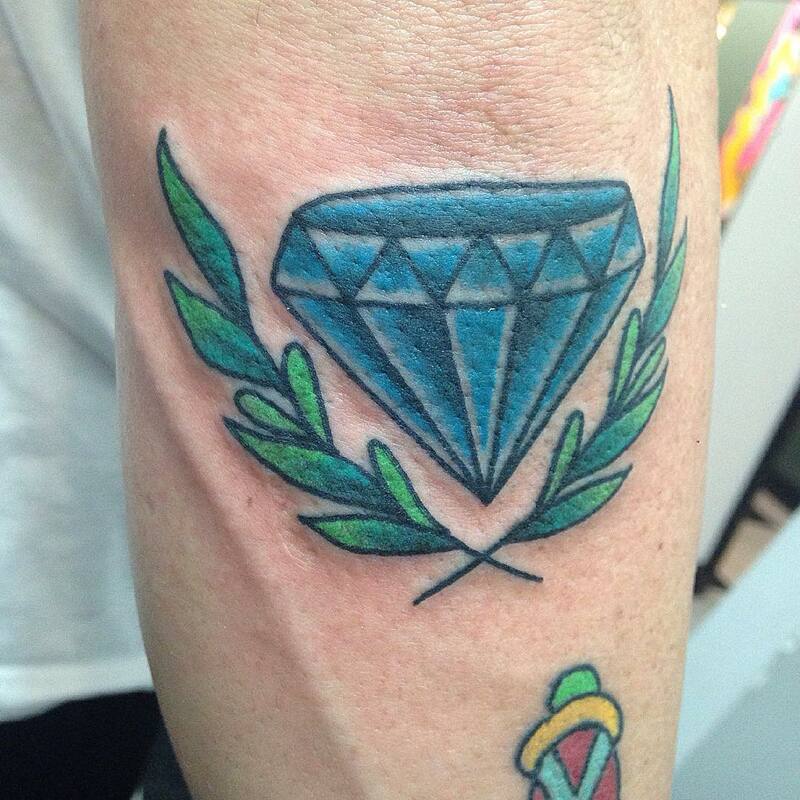 A green tattoo reflects prosperity and commitment. A diamond in oyster has an aesthetic appeal. The pattern looks very beautiful and symbolizes hidden emotions, just like a diamond hidden within the oyster. 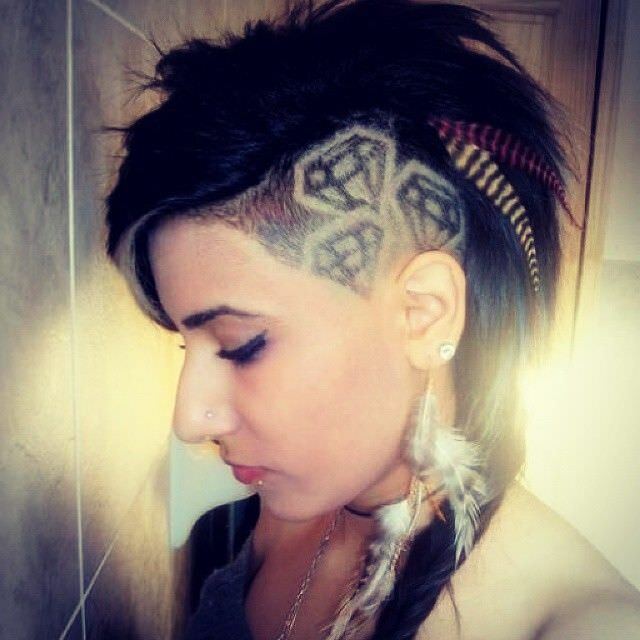 This is a popular design amongst women. 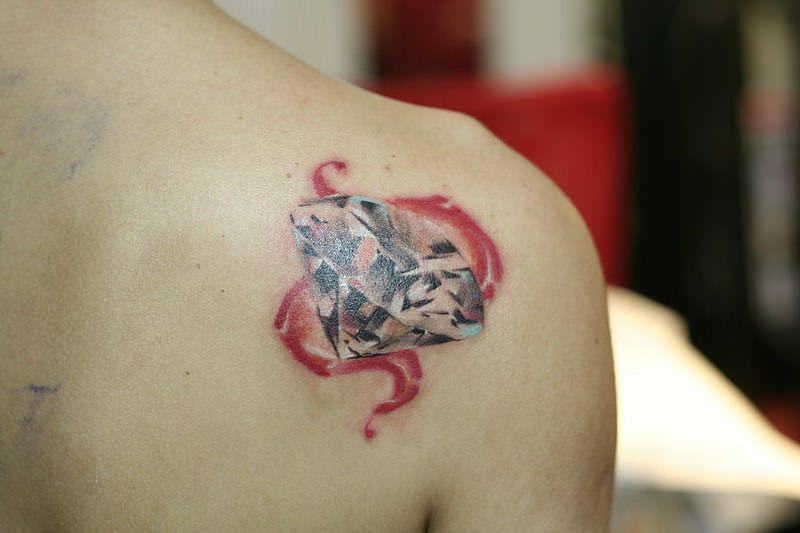 Plain diamond tattoos that look very simple can be further made interesting with other designs. 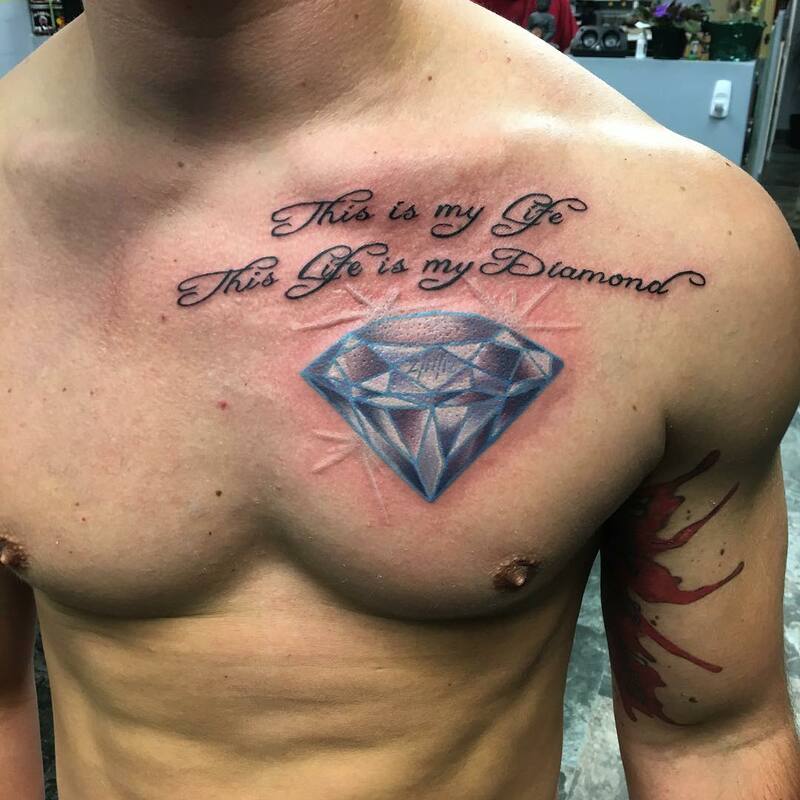 Diamonds with other design give a new meaning and significance to the tattoo. 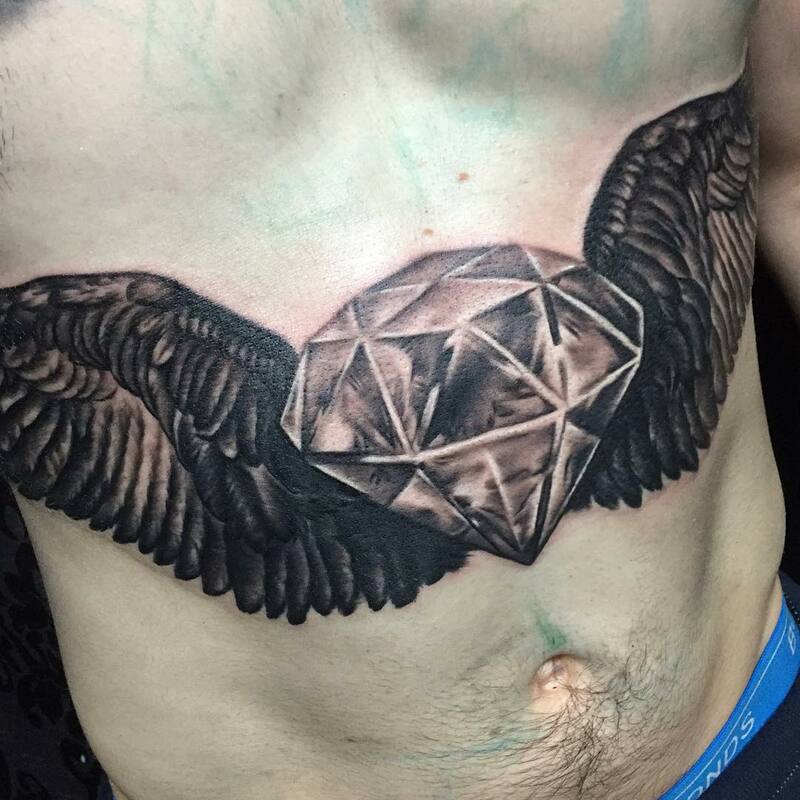 A winged diamond suggests wealth and freedom. 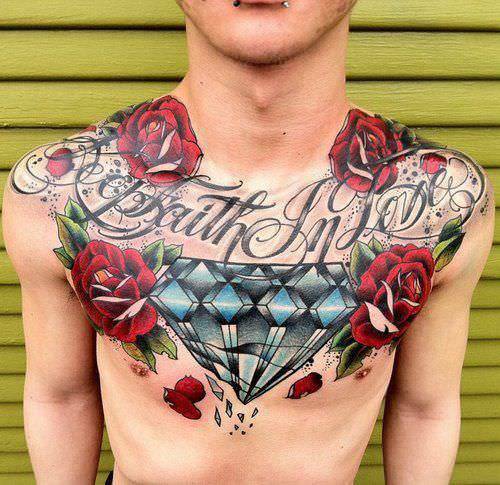 It gives an angelic look to the tattoo. It also signifies free spirit without bondages. 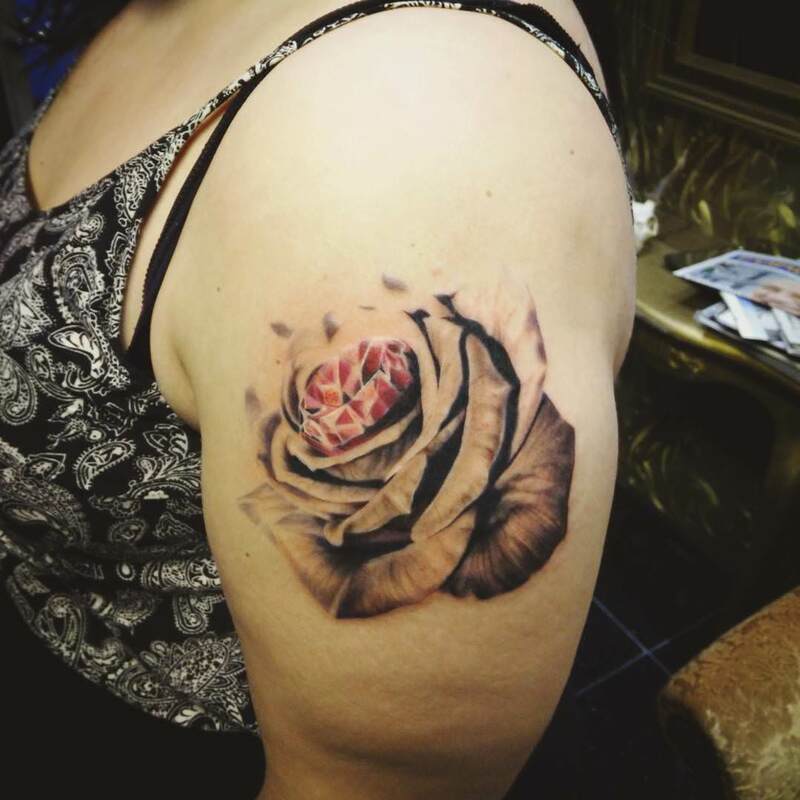 These are unique tattoos and do not require any significance or interpretation as words carry the end message. 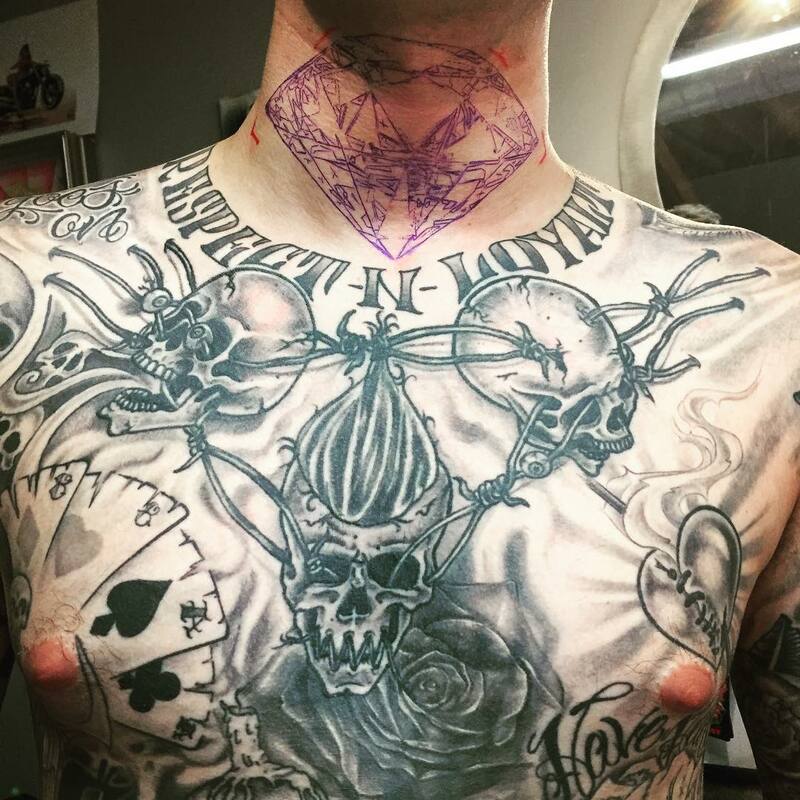 These tattoos may have messages related to life, passion, love or dear ones. These are usually colorful and charming, fetching instant attention. This design is very elegant and pretty. It defines class and luxury. A woman wearing these designs shows out power, opulence and penchant for flamboyance. 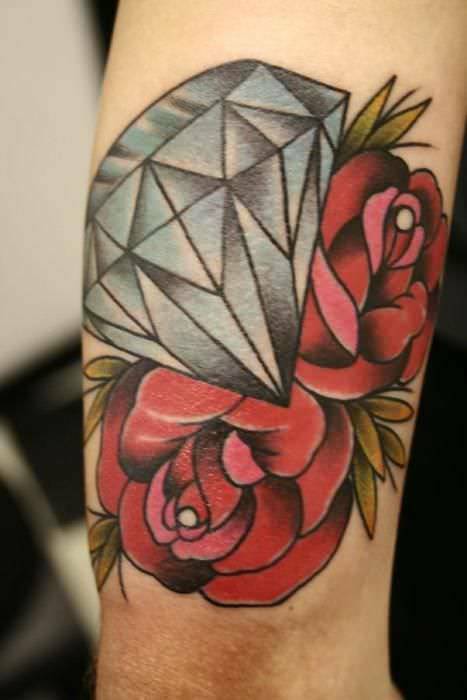 This is a simple design but looks very pretty. This design is quite famous among young girls and women. 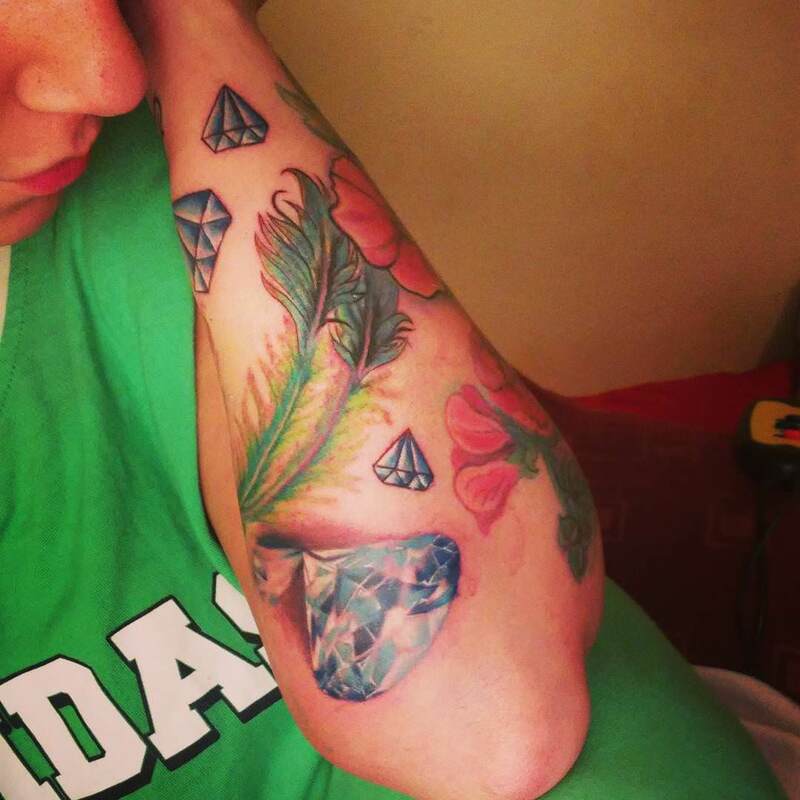 The flowers and diamond make a charming design, both having an aesthetic appeal. Type of flower picked for the design may signify the personality and taste of the wearer. 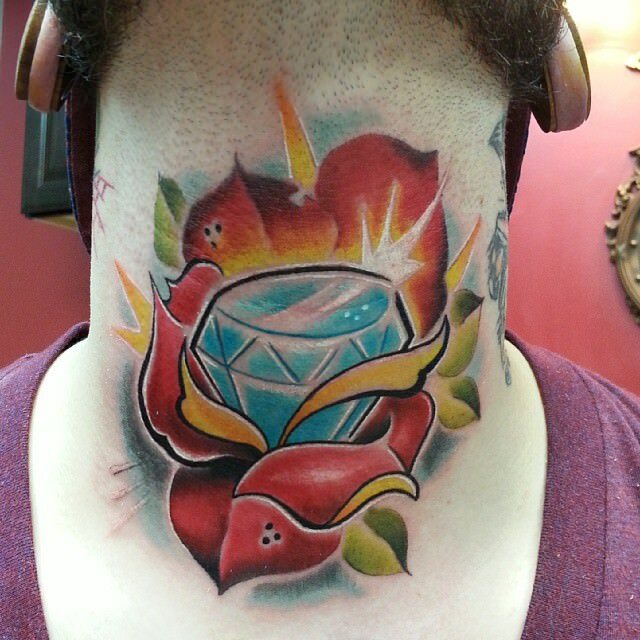 Diamond tattoo designs are very elegant and classy and give the wearer a very different and feel. They are very commonly used designs, especially popular among women. 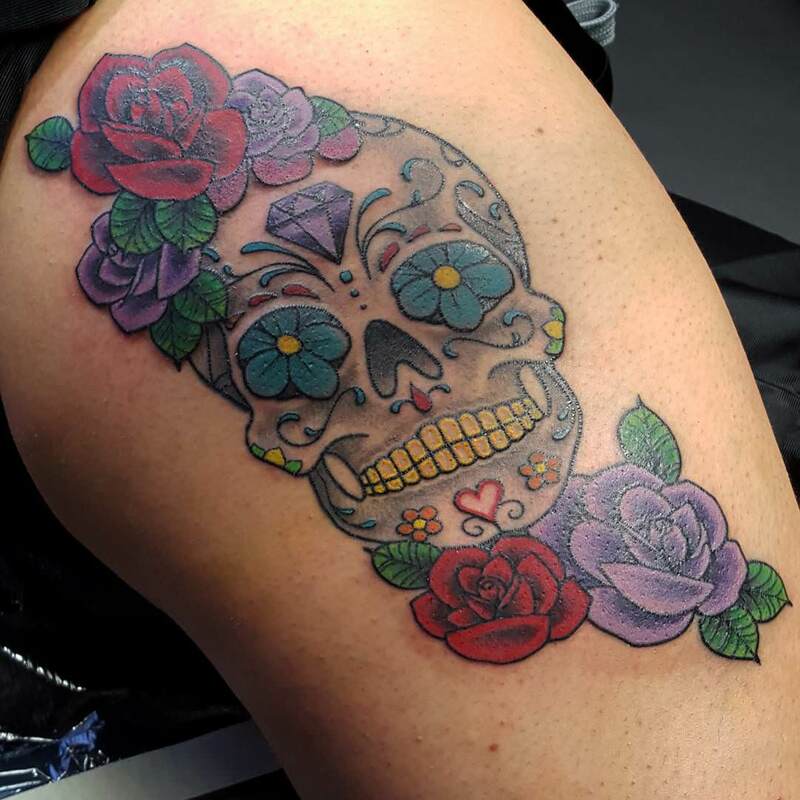 This design is often accompanied with other designs, like flowers, ribbons, crown, and birds. It is, therefore, a very elaborate pattern that is carved on either wrist or legs. 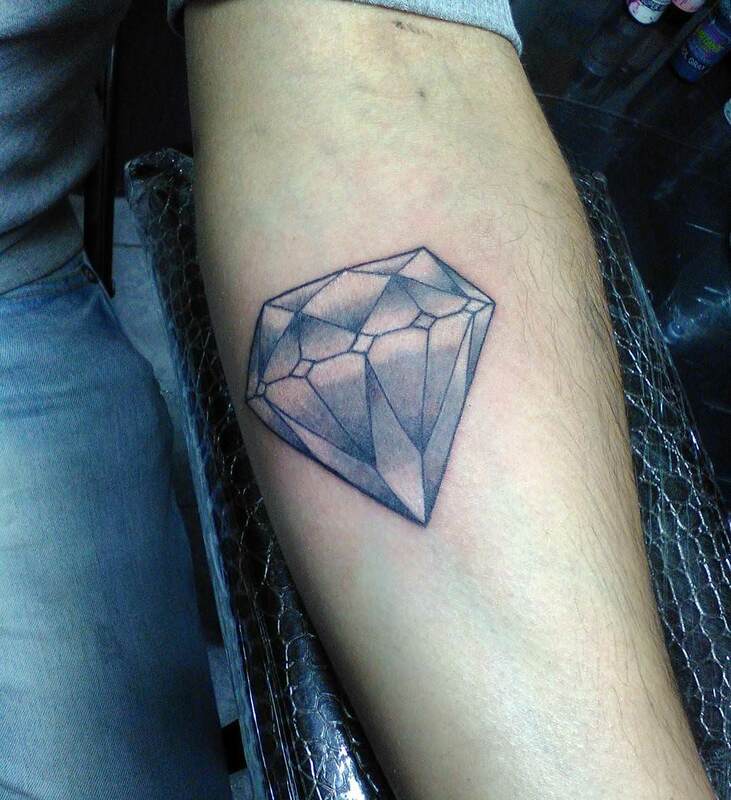 Melting diamond signifies passion and liberation. 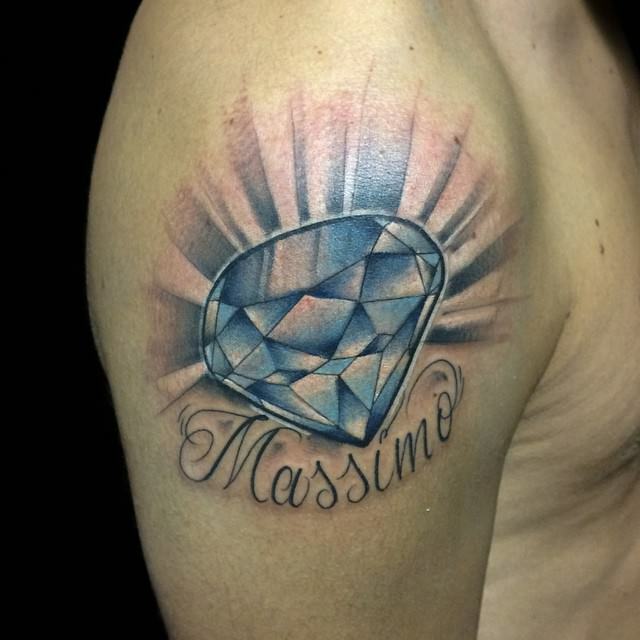 The design symbolizes diamond melting in passion. These designs have colorful surroundings and are far off from the routine plain black and white variants.